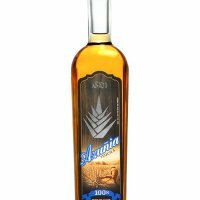 Arandas, Mexico - Two and a half centuries after co-founding the Mexican town of Arandas, today's epicenter of highland Tequila production, legendary Tequila-producing family Camarena has unveiled Familia Camarena Tequila, a new premium Tequila crafted from 100 percent Blue Agave. A testament to the regional flavors of the Los Altos Highlands, the new Familia Camarena Tequila is a culmination of six Camarena generations whose influence on the refinement of quality Tequila production has shaped the standards of modern-day premium Tequila. Available in two expressions, Silver and Reposado, Familia Camarena Tequila showcases only traditional methods of Agave preparation, fermentation and distillation to produce 100 percent Blue Agave Tequila. Cultivated in the highest elevations of the Los Altos Highlands region of Jalisco where mineral-rich volcanic soil and a temperate climate affords greater flavor maturity, Agave farming for Casa Camarena is overseen by 25-year industry veteran and sixth generation family member, Mauricio Camarena. "Tequila making is in my family's blood. It is not a job or hobby, but a way of life. We began as agave growers, where for nearly 80 years my family spent their days understanding the land and climate, selling to local tequila producers," said Camarena. "Today, almost 75 years after bottling our first tequila in 1938, it is a true honor to continue my family's legacy with a premium tequila that showcases the rich history and exciting future ahead for the Camarena family." In Arandas where Familia Camarena Tequila is produced, the Camarena family has spared no shortcuts, enlisting the expertise and leadership of renowned Master Distiller, Miguel Cedeno Cruz. Under Senor 'Cedeno's direction, Familia Camarena Tequila's development endures a rigorous hands-on process of traditional volcanic oven slow-roasting of the agave, chemical-free milling, closely supervised fermentation and small-batch pot-still distillation. The bottling line is no exception, where all bottles are inspected, bottled and labeled by hand. Delivering the highlands' signature sweet, fragrant and floral profiles, Familia Camarena Tequila has already earned critical acclaim from the San Francisco World Spirits Competition held in March where a Gold Medal was awarded to Familia Camarena Reposado and a Bronze Medal to Familia Camarena Silver. In partnership with the domestic importer, Alto Spirits LTD, Familia Camarena Tequila is launching in California and Nevada with both Silver and Reposado bottlings available in 50mL, 200mL, 750mL and 1.75L sizes. The suggested retail price of each expression in the 750mL size is $20. For more information, visit www.tequilacamarena.com.